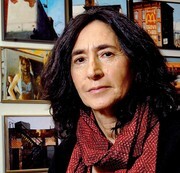 Francine Prose argues that the diary of Anne Frank is as much a deliberate work of art as it is an historical record, noting its literary merits and thoroughly investigating the diary's unique afterlife as one of the world's most read, and banned, books. Frank, Anne, -- 1929-1945 -- Writing skill. Frank, Anne, -- 1929-1945 -- Authorship. Add tags for "Anne Frank : the book, the life, the afterlife". Frank, Anne. -- Het achterhuis. 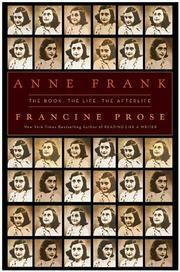 Frank, Anne, 1929-1945 =, -- Authorship - -- biography. Holocaust, Jewish (1939-1945) -- Netherlands -- Amsterdam -- Personal narratives -- History and criticism. Frank, Anne, 1929-1945 Literary art. Holocaust, Jewish (1939-1945) Personal narratives Netherlands Amsterdam History and criticism. Holocaust, 1939-1945 - -- Netherlands - Amsterdam - -- Personal narratives - -- History and criticism.